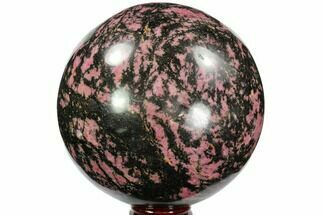 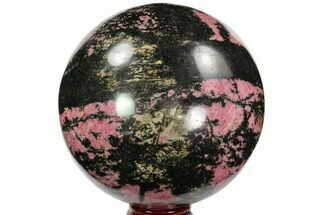 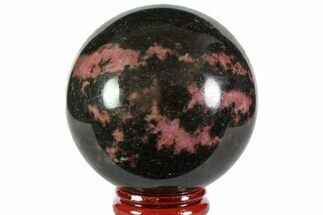 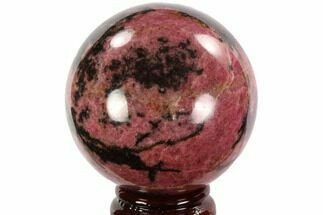 This is a big, beautiful rhodonite sphere, mined in Madagascar. 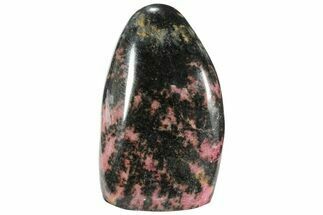 Rhodonite is well known among collectors for its beautiful pink and red color. 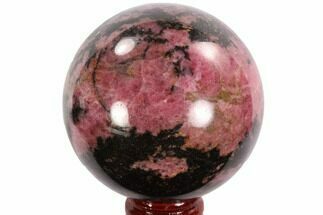 The red variety can be so deep red that it rivals the color of Ruby. 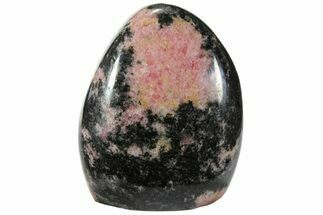 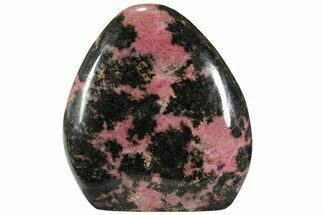 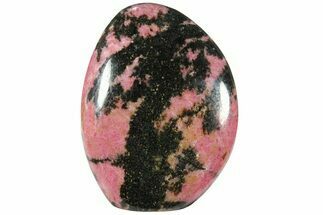 Rhodonite often has black manganese oxide veins running through a specimen, giving it the distinct appearance of pink with black crisscrossing lines and flower-like formations throughout. 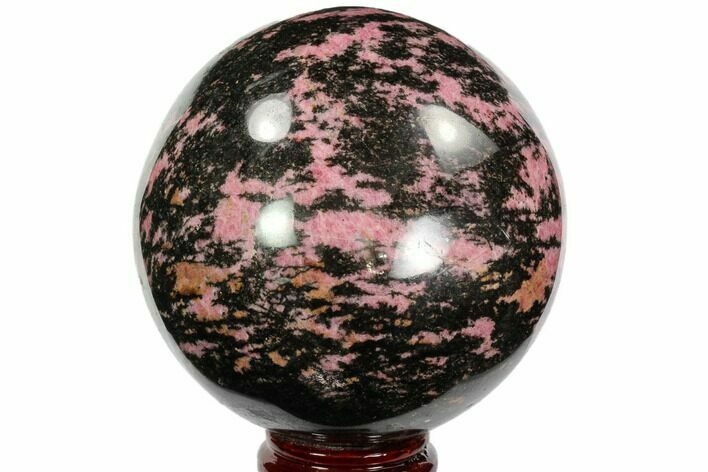 This specimen comes with the pictured display stand.